Many people think fall is the best time to escape to the Nova Scotia Authentic Seacoast for a vacation getaway. The beautiful green hills along Chedabucto Bay turn into magnificent hues of red, yellow and orange. Morning dews create a magical glow that carry through to amazing starlit nights. And the fresh sea air and quiet create an atmosphere that restores the soul. The Guysborough Harbour section of the Trans Canada Trail from the Marina to Fort Point was recently upgraded and is a wonderful fall walk or bicycle ride. 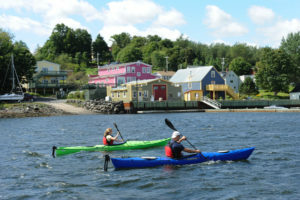 Starting at the Guysborough Marina you’ll make your way to Fort Point at the mouth of the Guysborough Harbour where the ruins of the ancient fort built by the French in 1636 still remain. Bike rentals are available at the Authentic Seacoast Distillery & Brewery at 75 Ferry Lane. Fall is the perfect time to visit the Authentic Seacoast Distillery, the only distillery located at a golf resort in the world. The massive stone fireplace in the tasting room is the perfect spot to enjoy Authentic Seacoast Distilling and Brewing’s award-winning spirits and craft beer including Sea Fever™ Rum, Fortress™ Rum, GLYNNEVAN® Whisky, Virga Vodka and Rare Bird™ Craft Beer. Distillery tours and tastings offer a glimpse into the region’s deep history. Sea Fever Rum and Fortress Rum bring three centuries of rum trading history to life. Ships left the Guysborough harbour on a perilous journey to the West Indies with salt cod and lumber, returning with ‘hogsheads’ of rum in their holds. The birthplace of brewing in Atlantic Canada, Rare Bird Craft Beer continues a tradition begun in 1659, with Guysborough being named as one of Canada’s ten great craft beer destinations. The Nova Scotia Fall Wine Festival takes place every September and October and DesBarres Manor Inn hosts Nova Scotia Wine Dinners to introduce people the culinary possibilities with Nova Scotia cuisine and wine. Enjoy DesBarres Manor’s award-winning modern Canadian cuisine paired with a flight of Nova Scotia wine to get a true taste of the best of Nova Scotia. The Canso Strait is a renowned spot for bird watching during the fall migration including gulls, grebes, dovekies, northern gannets and bald eagles. If you’ve never seen a gannet diving for herring before, you’re in for an amazing sight as you cross the Canso Causeway to Cape Breton Island. Class is in at the DesBarres Manor Inn kitchen this fall. 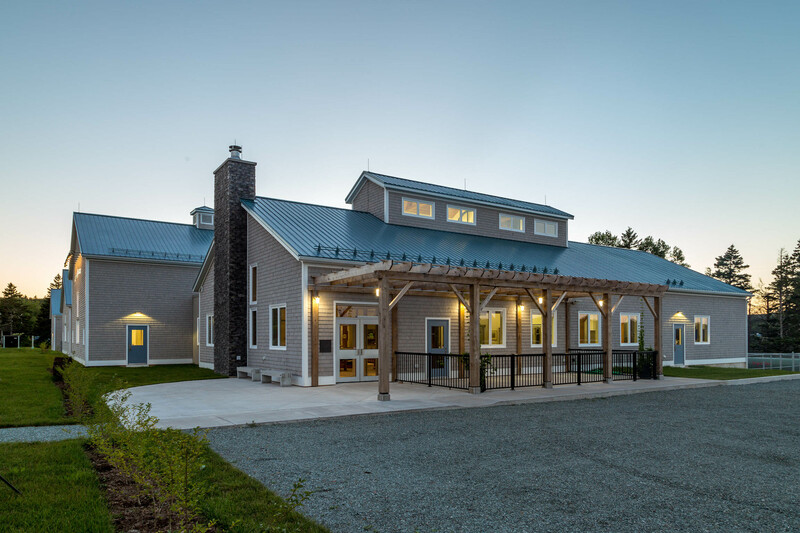 With a focus on authentic food from Nova Scotia’s Eastern Shore, the Inn’s culinary team will teach you the secrets behind the local dishes served in the DesBarres Manor Inn restaurant. 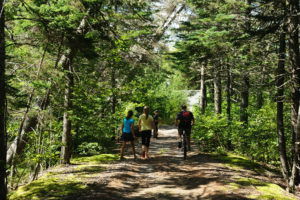 Frommers described the drive along Route 16 between Canso and Guysborough as an “uncommonly scenic drive”. This stretch of coastal highway is high above the ocean below and gives a panoramic view of the Atlantic Coast’s largest bay. Stop at the Halfway Cove Lookoff for a magnificent view of the fall colors and to read the historic plaque dedicated to Prince Henry Sinclair who is reputed to have landed in Chedabucto Bay in 1398, almost a century before Columbus’ discovery of the new world. Fall is a great time for romance and nothing sets the stage better than a romantic picnic lunch on a secluded cove along the coast. DesBarres Manor Inn offers guests a special picnic lunch getaway package to help people experience the romantic adventure of Chedabucto Bay. View the beautiful Nova Scotia fall colours on the Guysborough harbour by renting a sea kayak or canoe at the Authentic Seacoast Distillery & Brewery. A peaceful paddle on the calm Guysborough harbour is a great way to get some exercise and take in the beauty of fall on Nova Scotia’s Authentic Seacoast. We hope our fall activities capture your imagination and your desire to getaway to the Authentic Seacoast on Nova Scotia’s Eastern Shore this autumn.